Physicists generally go abroad during the fall or spring of junior year. The major schedule change is that you will often (though not always) leave one of the junior year physics courses until your senior year. You must petition in advance for approval of the courses you wish to transfer. Petition forms are available in the Physics Department office. You should attend three seminars/talks related to physics and write a paragraph on each to obtain a semester of seminar credit. You must earn the equivalent of a B or better to earn transfer credit for physics courses. In sophomore spring (and junior fall if you go abroad junior spring), take the usual physics offerings. You need do nothing “special” to prepare for studying abroad. At many institutions, 4 courses is the maximum load you are allowed to take. This normally transfers into HMC as 16 units. Use your Study Abroad time to immerse yourself in your new culture. Take advantage of the Humanities and Social Sciences offerings at your host institution to learn more about the country you are visiting. Discuss any HSA credit transfer plans that you have with your HSA advisor, as approval from the HSA Department Chair is required. It is a good idea to identify and petition for approval of more courses than you will actually take while abroad. This helps if there are unexpected changes in offerings by your host institution. Advance approval is required is for your protection — it is best to avoid surprises about what will and won’t transfer when you return! If you go away in the spring of your junior year, try to be in contact with the department chair so that you can be kept informed about senior research opportunities. Professor Lynn (lynn@hmc.edu) helps advise physicists in consultation with the Study Abroad Committee. 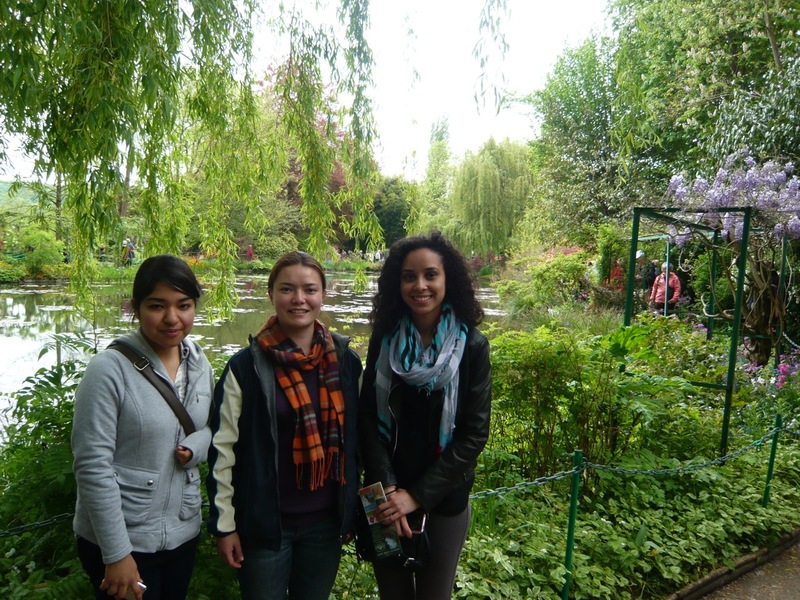 While studying in Paris, Carola took time out to admire Monet’s gardens at Giverny. 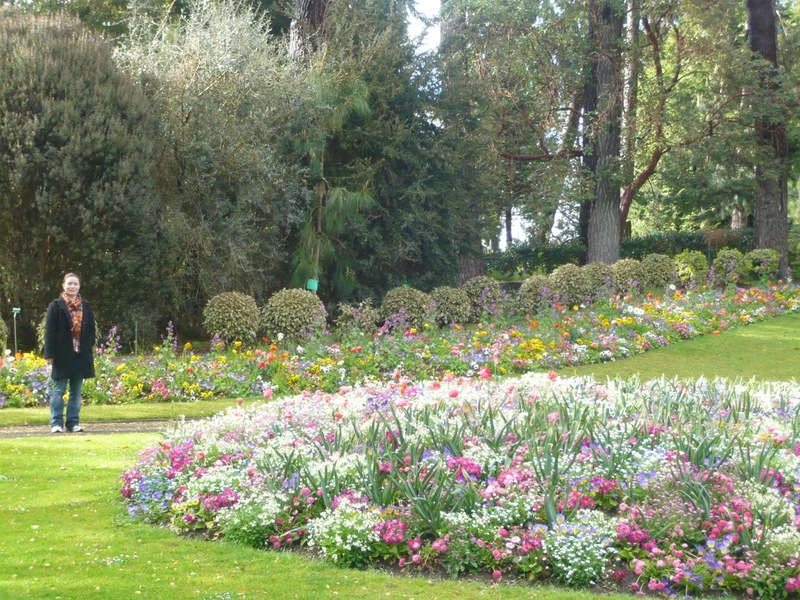 The gardens of Nantes, France.